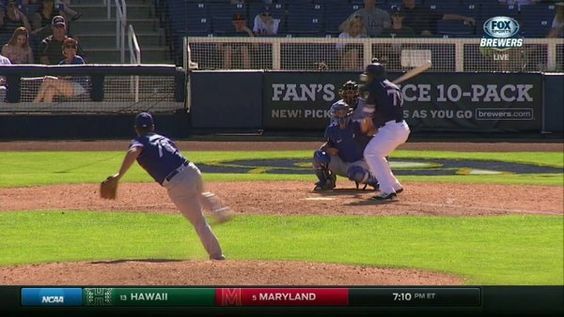 Dodgers pitcher Matt West has been hit in the face with a pitch before. GLENDALE, Ariz. — Dodgers pitcher Matt West doesn’t have to imagine himself in Rymer Liriano‘s shoes. He’s been there before. This is Part 55 of a series in which every member of the 2015 Dodgers has his season juxtaposed with an episode of the greatest sitcom of all-time. Don’t take it too seriously. Dodgers extend non-roster invitations to 16 players. Dodgers option Josh Ravin, designate Matt West for assignment. 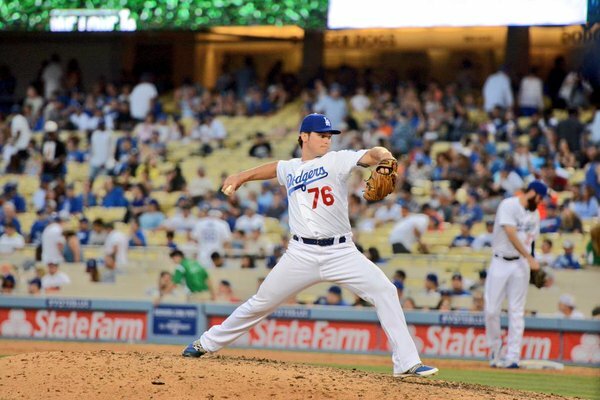 Needing to make room for Brandon Beachy, the Dodgers optioned pitcher Josh Ravin to Triple-A Oklahoma City and designated pitcher Matt West for assignment. Beachy, who starts tonight’s game against the Milwaukee Brewers, had been on the 60-day disabled list. Paco Rodriguez might be hurt after all, and now he’s getting his elbow checked out. 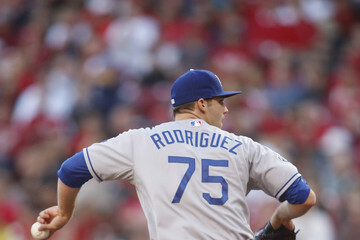 ST. LOUIS — Paco Rodriguez had a locker full of clothes in the visitors’ clubhouse at Busch Stadium, but he wasn’t there Sunday morning. So we were denied the chance to ask him about going on the 15-day disabled list with what the team is calling a strained left elbow. Right-hander Matt West is up from Triple-A and wearing number 76. 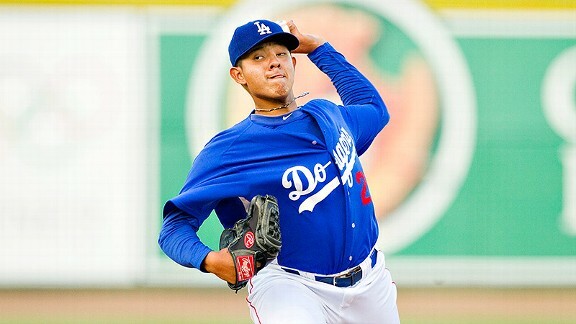 West is available out of the bullpen today; manager Don Mattingly described the 26-year-old as a possible multi-inning pitcher with a “live arm and good stuff.” That’s better than a dead arm, of course, and it seems Rodriguez might have one of those.